Tim Darnell's charity Treasures for the Kingdom has imploded. Both churches he claimed to be affiliated under have denied any involvement with the charity, Tim Darnell or his Advantage Conferences pyramid scam that ended with a bankruptcy filing in December 2009 and hundreds of reps out thousands of dollars and ruined or harmed financially. Last edited by Soapboxmom; 08-18-2011 at 04:48 PM. Tim Darnell's church said in the following Affidavit they had no involvement with Advantage Conferences, Tim Darnell or his Advantage Conferences pyramid scam. Last edited by Soapboxmom; 08-20-2011 at 12:32 PM. We have extensively refurbished several homes for individuals in Allen who were in need of repairs and struggling financially. Allen is a fantastic place to raise a family. We support ASA and Allen High School sports, especially football. My wife, Cathy, is a Physical Therapist currently working at We are involved with Young Life and Cottonwood Creek Baptist Church. Both daughters cheered for Allen HS (Hannah was cheer Captain in 2010), and are now in college, one at A&M (Lindy-Junior majoring in Education) and one at Collin College (Hannah - Freshman majoring in Physical Therapy. Doing business in several states - great sales team! Still bragging about his bogus defunct charity. He conned many representatives of Advantage Conferences who were struggling financially themselves into donating and providing the labor for those remodel projecets by lying about the charity being 501 (c) 3. His daughters are paying for college themselves as Darnell is snowed under by a $97,000.00 tax lien. His also has the nerve to use Cottonwood Creek Baptist's name after he stole it too set up that bogus charity. Portfolio Marketing Group was the parent company of the now bankrupt Advantage Conferences. For reasons I can't imagine, Cottonwood Creek Church has allowed that goon who stole their name and tried to defraud them with his Advantage Conferences pyramid scam and stranger owned life insurance debacle to continue to attend services there. He threatened fellow church members as well. Page 47 of the original transcript from the first hearing in Tim Darnell's losing harassment suit against me has the testimony concerning that. That family and the Bonnema family are long gone because of Darnell. That scumbag Tim Darnell made false criminal allegations of me stalking him and sending death threats as well. This guy is destitute, desperate and dangerous and should not be in that flock as he has already harmed so many good trusting Christians. I would strongly suggest folks demand the church leadership take decisive action and revoke Darnell's membership. The congregations as a whole must be kept safe and protected. Tim Darnell had help setting up his goofball charity. Apparently, he met Kaaydah Schatten at Cottonwood Creek Baptist Church and she hooked him up with that deceitful CPA, Robert Ward. He was the biggest flop of the conference speakers. Ward set up the charity behind Cottonwood Creek Baptist Church's back. He claimed that he didn't need the church's permission to steal their name and use it as the name of the parent entity for that fraudulent charity. The IRS Exempt Organization specialist said absolutely not true. The church must give permission for their named to be used and for an entity to affiliate under them. He pointed out that McDonald's would quickly sue any entity that used their name without permission. Darnell put Cottonwood Creek in legal jeopardy as he put their name on the corporation papers for his Treasures for the Kingdom Foundation. Schatten and Ward were behind this deal. I can't find a webpage for it and the address is the same as a Stewart Title office. The IRS does list this one as tax-exempt. When Cottonwood Creek Baptist submitted an Affidavit as follows, then Tim Darnell proceeded to victimize the church his father had been the senior pastor of for years and incorporate under them without their knowledge or permission. 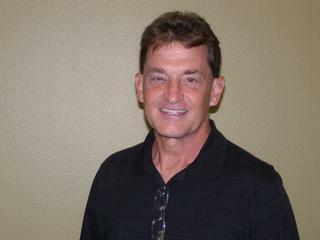 I wrote to Central Christian Church of Frisco to inquire about the charity and get contact info for the board members. As I suspected they knew nothing of Darnell's shenanigans and the area council said they would never affiliate with a deal like that ever. I am the Senior Minister at Central Christian Church and have been for the past 3 years (since the previous minister retired at the age of 78). I apologize for not responding to your email sooner. I never received it (I assume it went to my junk folder). Until your recent inquiry searching for a connection between our church and "Treasures of the Kingdom Foundation," I had never heard of this charity. I know nothing about this charity, its purpose, or its history. If you are hoping to find documentation concerning the way in which "Treasures of the Kingdom Foundation" is registered (according to state documentation), I cannot offer you anything. You might have better luck requesting documentation from the state or by contacting the Foundation itself. All of that being said, I have only been at the church for three years. I am probably not your best resource, and I do not know who would be. As a pastor who has worked hard to build trusting relationships with my members, I also do not feel comfortable sharing the contact information of any of my members. I am sorry that I cannot be of more help to you at this time. If you find any legal documentation that might be concerning to our church, please let me know. To my knowledge there is none. SoapBoxMom, Treasures for the Kingdom is in fact a registered 501 (c)(3) You and your minions here need some help. None of you have been to an event, let alone 2 or 3 of them, none of you have been at the Day of Service, none of you believe that faith should be part of one's business and daily walk, enough said. My best to you today. SoapBoxMom, you are incredible. Do you think since this is a newer 501 (c) (3) that was put in place in early 2006 that it may not be in the IRS website yet? Yes, people will create a website for all to see, take and make donations and not setup the 501 (c) (3) that is fairly quick and inexpensive to do so? SoapBoxMom, a person can read through the threads and see three very long posts that are chock full of your inaccuracies. OpenQuestion refuted that I could not call them lies. I disagree when someone knowingly is spreading untruths just to try to instigate others or to serve their end. Also, the fact that Treasures is a registered 501 (c) (3) and many others that AC supports, makes your statements and accusations inaccurrate, whether you personally have the documentation or not. I agree with Phinnly for a change that accountability is on the law side too, but as believers it is even more so. The documentation will be provided to the folks that need it, not to you my friend. You are receiving a lot of prayer these days. Art. 1396-2.23A. FINANCIAL RECORDS AND ANNUAL REPORTS. A. A corporation shall maintain current true and accurate financial records with full and correct entries made with respect to all financial transactions of the corporation, including all income and expenditures, in accordance with generally accepted accounting practices. Even when under a court order to produce documents, Tim Darnell has never produced a shred of documentation about his bogus charity. The IRS and state law concerning non-profit corporations both require public disclosure. I don't think it is a mystery why Tim Darnell and Jack Weinzierl are hiding this information. Weinzierl thinks they can give out information when it suits their fancy. It is criminal not to make proper disclosures available. The IRS agents I spoke with over the years all said that Treasures and Darnell had never filed a shred of paperwork with them ever. My best friend Judy S., who took her own life after ending up bankrupt due to her involvement with Advantage Conferences, had given $4,300.00 to Treasures for the Kingdom. The charity never gave her a receipt. Tim Darnell didn't even know how much she had given. In court he said she had given $1,100.00. That leads me to wonder just how cooked and inaccurate the books must be. How many others lost out on thousands of dollars in deductions because Darnell didn't produce a proper receipt from the charity for them either? Tim Darnell never had the proper IRS letter because no paperwork was ever filed last I inquired. The church's he affiliated under did not know or bless his stealing their names, so Treasures for the Kingdom would never have been included on their group exemption letter. Lies, lies, lies, Timmy. If you donated to Treasures for the Kingdom, please know the IRS is supposed to audit. There have been 4 formal complaints that I am aware of. If you gave to this bogus charity you too should file a formal complaint with the IRS and the Texas Attorney General's Office. It is high time there be a proper accounting of just where the thousands in donations did go. Three small remodels were done, but as no disclosures have been made there is no way to know where all the money went without an IRS audit. And if Darnell doesn't turn over the records I have requested it is a class B misdemeanor and I will go to the police and file a report. I believe in transparency and accountability as Jack Weinzierl claims to. Displaced Individuals: Funds from the Foundation are often used for extreme emergency situations involving displaced individuals who have lost their income and are facing homelessness and/or severe financial challenges. Multiple individuals have been saved from electricity/utilities termination and/or eviction with funding provided by TFK. This week, for instance, funds are being sent to a blind man who has been living in his car with his wife. Gift of Service: Funds have also been used to renovate several homes of individuals whose meager incomes prohibit the ability to repair or upgrade their living conditions. For example, two renovated home projects were recommended to the Foundation by the ministry of Cottonwood Creek Baptist Church. Representatives from the Allen based company, Advantage Conferences, provided the labor, and TFK raised the monies needed to complete those extensive renovations. Another recipient of the Gift of Service Project was an after-school activities house in a drug infested ghetto district of Orlando, Florida. Children now have a place to spend afternoon hours away from the hostile environment while their parent(s) are not at home. God’s Child Project: Funds are also used for the God’s Child Project, a charitable organization based in Bismarck, ND. One of the most efficiently run ministerial/service organizations in existence (to our knowledge), the GCP has been instrumental in clothing, feeding, providing medical treatment, and educating children in third world countries (primarily Guatemala) for more than 15 years and is a model for ministries worldwide. Principle: TFK is operated by Tim Darnell, a business owner from Allen, Texas, who has raised monies for the GCP since 1992. The Dreamer Center, GCP’s beautiful 3-story educational facility, was named in honor of Mr. Darnell’s singing group, Dreamer, after their group purchased the land for the school and raised significant dollars to fund the GCP for more than a decade. The Messenger: TFK is also associated with Mr. Darnell’s free, weekly, electronically delivered, Christ-centered newsletter, The Messenger. In 2006, The Messenger was responsible for over 200 prayers of salvation and over 1,000 commitments from individuals to read the Bible from beginning to end (The Cover to Cover Campaign). The Messenger is now in its fourth year of weekly publication. *Correction: I had originally posted that the Treasures for the Kingdom Foundation was a “501c3”. The official minutes in the organization documentation produced by our accounting firm use the term, “501c3” on several occasions, but even so, that doesn’t make TFK an official 501c3 entity, as assumed. TFK is a tax-exempt organization like a 501c3, and it has tax filing considerations and treatment like a 501c3 as stated in the minutes (see examples of that language below), but it derives its tax exempt status by virtue of another provision, namely the Texas Non-Profit Corporation Act (see the language taken from Articles of Incorporation below). All donations made to TFK are fully tax deductible for the donors and are greatly appreciated. The blind man in his car was Steven Walle, who lost his life savings to Tim Darnell's Advantage Conferences pyramid scam. Many other reps who were ruined financially never received a dime. I talked to reps who went bankrupt, went hungry, declared bankruptcy, lost retirement savings, spent their kids college funds and faced foreclosure. Cottonwood Creek Baptist Church demanded Tim Darnell remove their name from these fraudulent charity solicitations. He had stolen their name and used it without permission and put them in legal jeopardy by doing so. See the Church Affidavit 2.pdf. The Texas Non-Profit Corporation Act does not make the contributions tax deductible or the Treasures for the Kingdom and tax-exempt entity. It was always listed by the state of Texas as a taxable entity. Tim would have had to file the proper paperwork with the IRS as an independent entity. Neither church would ever agree to have his bogus charity as an affiliate. Check out the criteria to be an affiliate and note Tim Darnell didn't meet any of them except perhaps his ridiculous claim that he shared doctrinal beliefs with these churches. Certainly, as he was defrauding Christians with his pyramid scheme, Advantage Conferences, the churches would not agree with that claim! 2. Is a nonprofit corporation exempt from taxes? A Texas nonprofit corporation is not automatically exempt from federal or state taxes. To become exempt, it must meet certain requirements and apply with both the IRS and the Texas Comptroller of Public Accounts. 3. How does a nonprofit organization, including a nonprofit corporation, become tax-exempt? 4. How do I form a “501(c)(3)” corporation? 6. What is a registered agent? What are the agent’s duties? Where may a registered office be located? Can the Secretary of State be the registered agent of a corporation, limited liability company, or limited partnership? A registered agent is an individual Texas resident, domestic entity, or foreign entity that has qualified or registered to transact business in Texas that is responsible for receiving service of process or official notices addressed to an entity. An entity’s registered office must be a physical address where the registered agent can be served with process during business hours. It cannot be a post office box that is part of a commercial mail or message service unless that commercial enterprise is the registered agent or the registered office is in a city with a population under 5,000. The Secretary of State cannot serve as an entity’s registered agent. 9. Can one person be the sole director and officer of a nonprofit corporation? The Texas Non-Profit Corporation Act and the Texas Business Organizations Code require a nonprofit corporation to have at least three directors, one president, and one secretary. The same person cannot be both the president and secretary. Officers and directors must be natural persons. 12. Who has authority to investigate the activities of a nonprofit corporation? The Attorney General has statutory authority to (1) investigate charities that operate as nonprofit corporations, and (2) inspect the books and records of all corporations, including nonprofit corporations. The Secretary of State has no such authority. The IRS can revoke a nonprofit corporation’s tax exemption for violations of federal tax laws. 13. Are the books and records of a nonprofit corporation available for inspection? The Texas Non-Profit Corporation Act and the Texas Business Organizations Code require nonprofit corporations to maintain financial records and minutes of certain proceedings and make them available to members for examination and copying. The board of directors is required to prepare or approve an annual financial report. In general, all records, books, and annual reports must be available to the public for inspection and copying. These provisions do not apply to (1) corporations that solicit funds only from their members; (2) corporations that do not intend to solicit and do not actually receive contributions in excess of $10,000 during a fiscal year from sources other than their members; (3) proprietary schools; (4) religious institutions; (5) trade associations or professional associations whose principal income is from dues and member sales and services; (6) insurers; (7) charitable organizations concerned with conservation and protection of wildlife, fisheries, or allied natural resources; or (8) alumni associations. Under certain circumstances, a nonprofit corporation’s books and records are available to the public under the Texas Open Records Act (chapter 552 of the Government Code). Section 552.003(1)(A) of the Open Records Act defines “governmental body” to include the “part, section, or portion of an organization, corporation, commission, committee, institution, or agency that spends or that is supported in whole or in part by public funds.” For more information on the Open Records Act, contact the Attorney General. 14. Does a nonprofit corporation file IRS Form 990 with the Secretary of State? No; however, under certain circumstances, a nonprofit corporation files Form 990 or 990-PF with the Charitable Trust Section of the Texas Attorney General. Later, the articles of incorporation and bylaws must be submitted to the Internal Revenue Service (IRS) when filing for federal tax- exempt status under section 501(c)(3) of the Internal Revenue Code, discussed below. In Texas, a nonprofit corporation should file its articles of incorporation and appropriate fees with the Secretary of State. ....tax-exempt status is found in section 501(c)(3) of the Internal Revenue Code. This is the most desirable form of tax-exemption not only because 501(c)(3) corporations are exempt from federal, state, and local taxes, but also because donors to the organization can qualify for tax write-offs for their contributions. (iii) Relevant facts and circumstances show that it is so affiliated. (vi) In the event of dissolution, the organization's assets are required to be distributed to a church or a convention or association of churches, or to an affiliate thereof within the meaning of this paragraph (h). God calls us to be stewardly with the monies He generously allows us to produce and “handle.” Moreover, it is a God-given responsibility and mandate for you and I to be productive. It is very clear that Jesus would have us be “Ten Talent” men and women (see Matthew 25 – the parable of the talents), people who produce and multiply the resources we are given – and then give it ALL back to the Master! The Treasures for the Kingdom Foundation is a federally recognized, tax-free 501(c)3 organization dedicated to helping underprivileged families, Christian ministries, disabled individuals, severely ill, and the destitute. Gifts from the Foundation are normally perceived as unexpected and unmerited miracles by the grateful beneficiaries. This Foundation’s service and philanthropy is an attempt to mirror the unfathomable grace that God has given each of us. The Mindset Mentoring Treasures for the Kingdom Conferences –and Advantage Conferences Annual Conventions are exciting events that are preceded by a Company activity called, The Gift of Service. AC Reps are assigned various aspects of the fix-up plan, including tear-out, demolition, removal, plumbing repair and replacement, shelving, appliance replacement, garage door repair or replacement, new front doors and closet doors, painting, or whatever is needed – and THE FUN BEGINS. The end result is that the home is dramatically improved to be more beautiful and functional. Allen, Texas - January, 2006: AC Reps descended on the home of a single-Mom’s family struggling to make ends meet following a divorce. At first glance it was apparent that the house needed attention - and quickly. The garage door at the front of the house was non-functional, literally hanging diagonally. This was not only an eyesore, but a serious security issue, not to mention a terrible insulation / heating and air conditioning challenge as well. Upon further inspection, it was immediately evident that virtually every square foot of the house posed an opportunity for repair and renewal. Michele is thankful to God, Advantage Conferences, and all the Reps for their self-less work. It was a free gift she still doesn’t quite understand. Isn’t that how God’s grace is – simply too good to understand! Orlando, Florida: March, 2006: The week prior to the Mindset Mentoring Treasures for the Kingdom Conference, work began on the recently purchased home of the Orlando based, Mending Hearts Charity. Founder, Stephanie Richards ministry needed a recreation and crafts center for children of low-income parents in the afternoons while the parent(s) worked. Nestled in the middle of a drug-infested neighborhood of the “hood” in Orlando, Ms. Richards has dedicated her life to cleaning up bad neighborhoods. We salute her lifetime of ministry and service. New cabinets, doors, windows, a dish-washer, and a full paint job (among many other improvements) all physically accomplished by AC Reps, helped Ms. Richards achieve her dream! The Gift of Service Project seeks no publicity or accolades. It is simply a great way for Advantage Conferences Reps to get their hands dirty and change many peoples’ lives! The next Gift of Service event will occur the week of October 22nd prior to the Mindset Mentoring Conference in Dallas, Texas – October 27-28. In my opinion publicity was the only purpose for setting this bogus charity up. Tim expected tons of media coverage and hoped he could get his church to endorse his pyramid scheme and stranger owned life insurance products so he could make a killing. Tim has long had delusions of success and a spot in the company of the real movers and shakers out there. In reality he has mooched off of his wife for years while floundering in one pyramid scam after another as he ruins his whole family financially. I'm absolutely fascinated by this new age form of "Christianity" which has sprung up. It must be an American thing. You'll have to point me to a version of their Bible. The one that tells them to rip off their fellow man and then walk away as if nothing has happened. Must be fun attending their church on Sunday morning. If Weinzierl and Darnell are anything to go by, the attendees would need to have eyes in the back of their heads to protect them while their heads are bowed in prayer. Though this thread is on the first page of Google for Cottonwood Creek Baptist Church and the church has had numerous complaints about Tim Darnell, they now have that threatening, scamming goon signed up as a children's Bible teacher hosting weekly meetings in his own home. "Beware of false prophets, which come to you in sheep's clothing, but inwardly they are ravening wolves"
Just what Bible are the church leaders reading??? Tim Darnell filed Treasures for the Kingdom as an auxiliary of Cottonwood Creek with the Texas Secretary of state even though he did not have their permission to use their name and they did not know he had so filed. I was told by someone close to Tim Darnell and the church that Darnell was specifically told the church wanted no part of his charity debacle. A materially false filing could be considered a crime or tort. Why has Cottonwood Creek not pursued it as such? Why is Cottonwood Creek still putting their members at risk and allowing Darnell to host bible studies and more? The BOC imposes both criminal and civil penalties for the submission of a false or fraudulent filing instrument. Under prior law, it is a Class A misdemeanor to knowingly sign a document that is materially false with the intent that it be filed with the secretary of state. House Bill 1507, effective September 1, 2005, amended the Texas Business Corporation Act to increase the offense to a state jail felony if the person signing the document intended to defraud or harm another. Section 4.008 of the BOC applies to all filing instruments under the BOC. Similar to provisions under prior law, section 4.008 of the BOC provides for criminal penalties if a person signs or directs the filing of a filing instrument that the person knows is materially false. The BOC enhances the penalty to a state jail felony if the actor’s intent is to defraud or harm another. A Class A misdemeanor is punishable by a sentence of up to 180 days, a fine of up to $4,000, or both. A state jail felony is generally punishable by a sentence of 180 days to 2 years plus a fine of up to $10,000. the entity that authorized the filing of the instrument. The secretary of state does not have authority to initiate a criminal action or to pursue a civil suit for damages on behalf of injured parties.